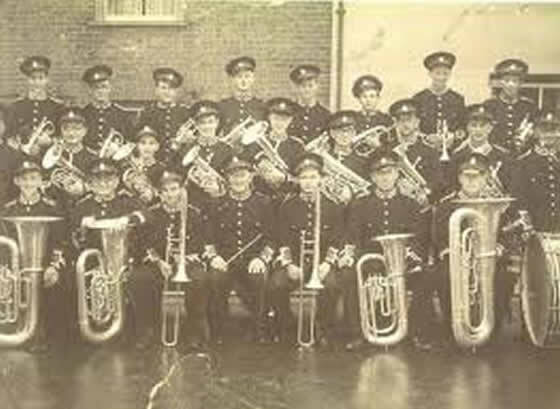 After the First World War the players formed the Town Band using only Brass instruments. For many years Mr Jimmy Sparks was the Bandmaster. He was also known locally for his own dance band. They disbanded during World War II. Practices were started again in 1946 and the first General Committee Meeting was held on 2 February 1948. The band at this time was practising in a room at the factory. The next practice room was above the garages at the Kings Arms. There was no electricity and practices were held in candlelight. In 1952 the band had moved again to a room in Sandhill Street before renting their present band room in the town hall (under the library) in 1960. During the early 1950’s the band was strong in members and quality. They took part in area contests with some success. With the advent of television, interest and numbers waned, 1960, which left only eight members, but practices were always held. In 1970 membership had increased to sixteen and in 1976 the band was re-launched under the baton of Mr John Woodland. 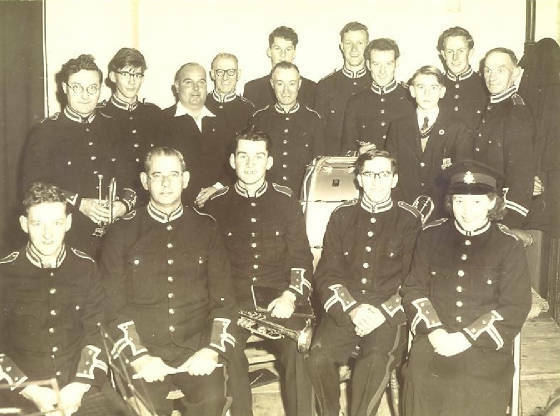 The band entered the South West Brass Band Association (SWBBA) concert at Barnstaple in 1980. The present band has twenty-nine players, many living in or around Ottery St. Mary and others travelling from Newton Abbot, Longdown, Sidmouth and Honiton.